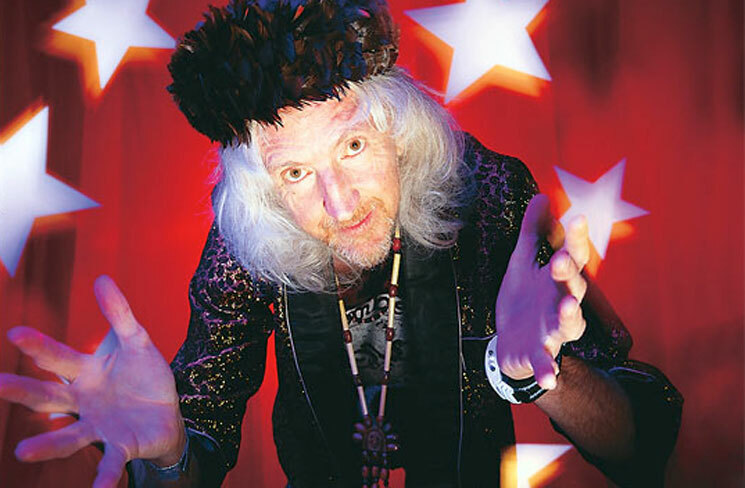 Sad news from the psych world: Daevid Allen, founder and frontman of long-running experimentalists Gong, has revealed that cancer has spread through his body and he only has six months to live. A statement from the musician, who also co-founded Soft Machine, explained that he had previously undergone surgery when cancer was found in his neck. Despite the procedure, the cancer has returned and spread into his lungs. "The original surgery took much of it out, but the cancer has now recreated itself with renewed vigour while also spreading to my lung. The cancer is now so well established that I have now been given approximately six months to live," he explained in the letter. Saying that he's "not interested in endless surgical operations," Allen further explained that "the time has come to stop resisting and denying and to surrender to the way it is." The Australian-born Allen travelled to the UK in 1961 and founded Soft Machine in 1966. Visa issues prevented him from getting back into the UK after the band undertook a long European tour, so he started up Gong while living in Paris. After producing Gong's Radio Gnome Trilogy (comprising 1973's Flying Teapot and Angel's Egg, and 1974's You), Allen left the band, but rejoined in 1991. The group's most recent collection was last year's I See You. Allen's illness prevented him from touring with the rest of the band. You'll find his letter in full down below.